Who Killed John Lennon ? Ever since the abrupt and drastic rip in the fabric of the American psyche at the time of the John F. Kennedy assassination , the fundamental mindset of most discerning Americans has been to expect the most unexpected of events;to be prepared to believe that which up to that point was unbelievable.All and any are suspect,particularly those institutions that previously had been the most trusted. This on-the-edge mentality has been reinforced in the last quarter century by the atrocities and deceptions of Vietnam, the revelations concerning Watergate,and most recently, the unearthing of information about the Iran-Contra affair. And now, ( more than 30 years,edit.) after the crime was committed, British lawyer and journalist (The Chinese Mafia) Fenton Bresler puts forth the thesis in Who Killed John Lennon ? that the U.S. government’s Central Intelligence Agency executed the politically active rock star.And that it was done by use of a mind-controlled,manipulated,robotic Manchurian Candidate type assassin. Ludicrous,even in an era of UFO and everyday Elvis sightings.Preposterous, stretching the limits of credibility,even for a generation of veterans of post- psychedelia. But is it? One has to look no further than the research and the U.S. government’s documentation of the late 1950’s and early 1960’s to find the phenomena of mind control and thought manipulation need not be confined to the milieu of science fiction writers. In the early chapters of his book,Bresler clearly points out much of the evidence of government involvement with political assassination and mind control research gleaned from U.S. government documents.He reports on Senator Frank Church’s Congressional Committee of Inquiry, which in the 1970’s disclosed that “American officials encouraged or were privy to plots which resulted in the deaths of Rafael Trujillo in the Dominican Republic,Ngo Dinh Diem in Vietnam and Rene Schneider in Chile”(not to mention the murder of Congolese Prime Minister Patrice Lumumba or the numerous attempts on the life of Fidel Castro).The author details the workings of what Daniel Sheehan of the Christic Institute, labeled a “generic program” available to take out individuals who are felt to be at odds with designated U.S. policies .This program continues to the present day. The CIA was created as an off shoot of the post-World War II Office of Strategic Services, as a bureau to investigate foreign threats to national security.Bresler relates several incidents demonstrating how the agency has violated its own charter by unwarranted surveillance, and in the case of experimentation with with mind altering behavior modification,has used unsuspecting American citizens.This information is not new,but seen in the overview of political activist John Lennon as a victim of a programmed assassin,it gives support to the author’s theory. Bresler recounts in detail Lennon’s unique blend of anti-war politics and rock and roll,and how it was significant in creating the anti-establishment ethos of the late 1960’s and early 1970’s.His supposition is that malevolent powers that be were not to allow the ex-Beatle’s influence to take hold once again,when the singer/ songwriter reactivated his career at the start of the Reagan 1980’s. Relevant episodes in the life of Mark David Chapman, Lennon’s killer, have also been scrupulously examined; such as Chapman’s long association with the YMCA and its link with the CIA, his trip to Beirut in 1975,and his involvement with born again,right-wing fundamentalists. Unlike Albert Goldman,perhaps the most scurrilous of Lennon’s biographers, the attorney/journalist personally interviewed hundreds of individuals involved with the case.This included many close associates of Chapman’s and John Lennon’s widow Yoko Ono. It may have been financial limitations or a publisher’s deadline that inhibited him, but Bresler’s only real flaw is his failure to press on, to follow through on some of the most significant leads.For example, he illustrates in meticulous detail that Mark Chapman had a three day lay over in Chicago right before he reached his destination in New York City, but Chapman’s activities there are barely reported. It is only suggested that at this point his homicidal programming was activated to motivate him to proceed to NYC to shoot Lennon.Also, a certain “Gene Scott” (the only pseudonym in the book) is not thoroughly investigated.After it is mentioned that Scott and Chapman”have complex undertones to their apparently still continuing friendship” and that Scott has been described as “mysterious” and a “bad influence” on Chapman,Scott is discounted.Apparently it is because of his lack of co-operation and a terse phone conversation with the author. 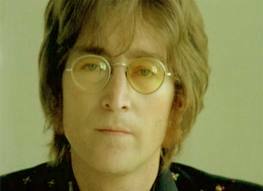 Still, Who Killed John Lennon? brings together in one volume an abundance of information and critical evidence in a case that is potentially so much more than fodder for the tabloids and fanzines that have thus far reported on it.This serious examination of the case instead opens a most ominous can of worms by questioning how an ostensibly open society deals with its most vocal critics and proponents of participatory democracy.